Barbados offers the ideal Caribbean holiday. 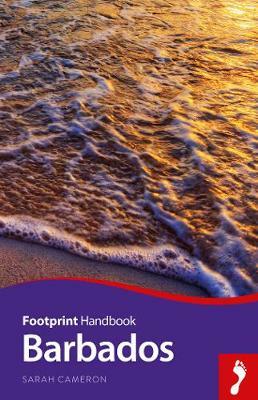 Whether you're seeking some serious relaxation in the sun or rugged coastal walking, this island has something to offer everyone.This Footprint Handbook provides invaluable information on transport, accommodation, eating and entertainment to ensure that your trip includes the best of this sun-drenched isle. *	Essentials section with useful advice on getting to and around the island of Barbados. *	Comprehensive, up-to-date listings of where to eat, sleep and play. *	Includes information on tour operators and activities, from sipping rum on the plantations to golfing in the sunshine. *	Detailed maps for Barbados and its key destinations. *	Slim enough to fit in your pocket. With detailed information on all the main sights, plus many lesser-known attractions, the Footprint Barbados Handbook provides concise and comprehensive coverage of one the Caribbean's most sought-after destinations.